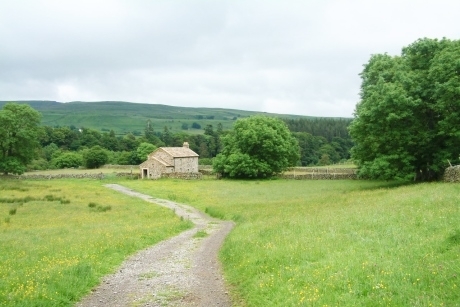 Moor House-Upper Teesdale National Nature Reserve in County Durham has launched a new historic environment package targeted towards Key Stage 2 students. Developed with the help of a local archaeologist, A Walk Back in Time – How People Settled the Land in Teesdale from Stone Age to the Present is a day that explores the local area and its history. The day starts in Bowlees in Upper Teesdale where students will begin a one mile walk along the footpaths to Wynch Bridge End cottage, using a sketch map to guide them. On arrival at the cottage there will be interactive activities that take students from when the cottage was a farm in the 1940s, back through Medieval, Anglo-Saxon, Roman, Iron Age and Bronze Age times and into the Stone Age period when Teesdale was first inhabited by humans. A series of replica artefacts from each ‘age’, including a hand axe, a Mesolithic arrow and a Langdale stone axe will be on show and each will be matched to an image of a settlement or building from the period alongside accompanying notes. Pupils will be able to use these items to investigate the era before constructing their own timeline. A visit to an archaeological site near the cottage will also be incorporated into the day. The sites have not been excavated meaning students will be required to use their imaginations to interpret the lumps and bumps in the landscape. The visit can be adapted to programmes of study in Geography, History, Science and Art. For more information contact Heather McCarty at the Natioanl Nature Reserve base in Upper Teesdale by calling 01833-622374 or e-mailing heather.mccarty@naturalengland.org.uk.